Here are some questions/answers that we are frequently asked. 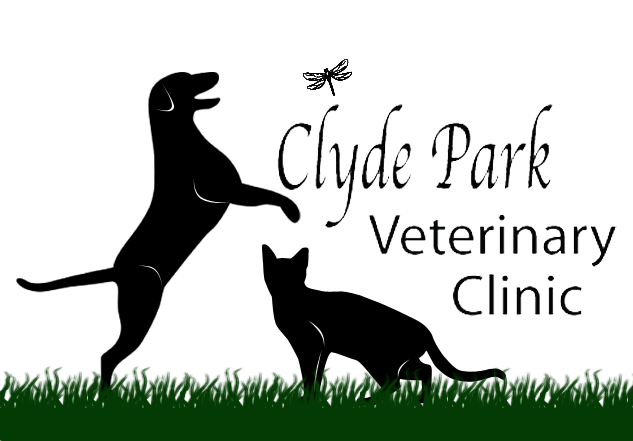 If you have additional questions that aren't covered here, please feel free to give us a call at Clyde Park Veterinary Clinic. Our hospital is open Monday, Wednesday, and Thursday from 8:00am to 5:30pm. On Tuesdays and Fridays we are open from 8:00am until 7:00pm. The clinic is closed on Saturday and Sunday. Procedures involving sutures require them to be removed in 7 - 14 days following the surgery. No, we do not have boarding facilities. However, we highly recommend Chase-n-Tails Boarding Kennel. The number is 616-446-4481 if you would like more information. Our dog kennels are all indoor. The dogs are walked several times daily while they are hospitalized. The cat patients are housed in a separate area away from the dogs. Blankets and food are provided for our hospitalized patients, but you are always welcome to bring your own.